The most prestigious award, the 2017 Grand Prize was presented to Starnet member ReSource New Jersey for their work on the NBC Sports 2016 Summer Olympic Studio in Rio de Janeiro. This was a technically challenging project, made more difficult by a limited installation window in a location half way around the world. The studio’s flooring - an intricate and complex pattern of vinyl tile and plank - was installed by INSTALL contractor ReSource New Jersey Commercial Flooring, Inc. ReSource was commissioned to do the work by NBC Studios. 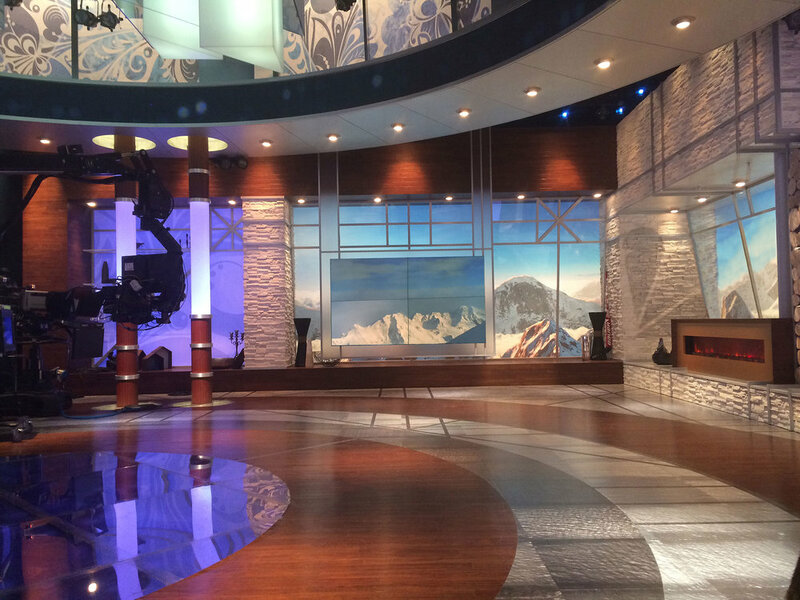 Two of its INSTALL-trained foremen mechanics from the Northeast Regional Council of Carpenters, Local 251, traveled to NBC’s 2014 Olympic broadcasting studios in Russia for the supply and install project. The flooring was installed flawlessly and on time in a very sensitive and demanding construction schedule," with Winter Olympics Opening Ceremony weeks away. "When returning from Russia, the mechanics praised the courteous, helpful and gracious people of Sochi for their support of all foreigners working in their country on behalf of this international event." Re:Source locally celebrates Starnet Grand Prize Award with Crystal Award presentation to HD Studio / Black Walnut Projects +, and $5,000 charity award to JDRF supporting Type 1 Diabetes research.